Microsoft has already admitted that the next Xbox consoles are in the works. At the E3 2018, Xbox head, Phil Spencer, revealed that the company is “deep into architecturing the next Xbox consoles.” Now, a report from Thurrott.com claims that one of the upcoming consoles is codenamed “Scarlett” and would arrive in 2020. Next Xbox – what to expect? Sony would supposedly continue with the PlayStation 4 for another three years. And, if the report of Scarlett coming out in 2020 is true, it will leave Microsoft with enough time to launch consoles and get a lead in the next-gen console race. Other than the codename Scarlett and a probable release date, there are no more details on the next Xbox. However, it is almost confirmed that the next Xbox would support backward compatibility by all means to support the Xbox One games. 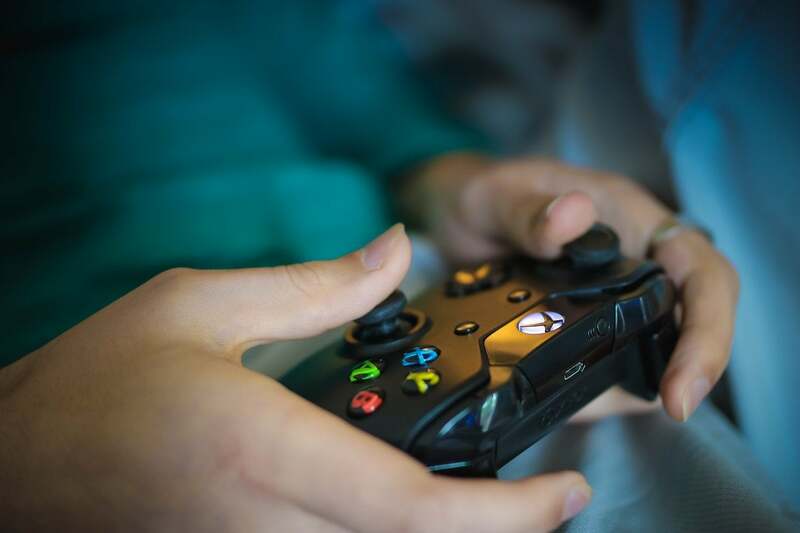 The company has invested a lot of technical time and marketing efforts into backward compatibility, integrating the Xbox and Xbox 360 games with Xbox One and Xbox One X consoles. Another expected change in the next Xbox could be a smoother user interface. Since its launch in 2013, the Xbox One went through multiple iterations, but the user interface still feels finicky to use. After Microsoft scrapped Kinect, the original menus that were designed with voice navigation in mind had to be updated from scratch, and this might have disturbed the momentum. The Xbox One generation of consoles did not fare well for Microsoft with dim reviews and lackluster sales. User complaints compelled the company to recall many features and ideas at the system level. The Xbox One, which followed the launch of the PS4, came with a price tag of $500 including a mandatory Kinect bundle, thus giving the PS4 an immediate upper hand. Besides charging higher and the Kinect technology, one can think of a host of reasons why Xbox One was overshadowed by Sony PlayStation. One such reason is the dearth of exclusive titles. Microsoft, however, is now working on that front, and the same was reflected in some of the announcements at the Xbox E3 briefing. At the event, the company talked about bringing in more first-party games. Microsoft is acquiring Undead Labs, Playground Games (Forza Horizon developers), Ninja Theory (Hellblade: Senua’s sacrifice), and Compulsion Games (We Happy Few). All these developers would join Microsoft Studios along with the newly founded The Initiative, a Santa Monica based studio, which is led by Darrell Gallagher, the former head of Crystal Dynamics. Two of the studios mentioned above already develop exclusive Xbox games, and the newly acquired ones would further boost the original title list. About the exclusive titles, Spencer said, “We know that exclusive games from our Microsoft Studios are what originally turned so many of us into Xbox fans. My team and I take our commitment to you seriously.” By joining Microsoft, according to Spencer, the new teams will get the resources, the platform and creative independence to take bigger risks and create even bolder worlds for the gamers. It’s not just the new Xbox consoles that Microsoft is working on. Recent reports talk about a whole new range of upcoming hardware from the company. The Redmond-based company is reportedly working on a trio of Surface-branded devices – dubbed as Carmel, Libra and Andromeda. Libra would be a low-priced Surface tablet. Microsoft has been making attempts at releasing cheaper tablets even though the center stage for the past few years has been on the high-end Surface Pro. Carmel would be the upgraded version of the Surface Pro, but it could come into the picture only after Intel’s release of two new processors – Whiskey Lake and Amber Lake – the 8th generation processors that would supposedly be used in Carmel. Andromeda is expected to be a two-screen, handheld device from Microsoft that, if and when released, would cater to the whole new segment. Further, it is believed that after the release of Andromeda, Microsoft OEMs would produce their own comparable products just like they did with the Surface Pro. Next in the hardware list is the new version of the HoloLens – dubbed as Sydney. The new HoloLens would reportedly debut in the first-quarter of 2019 at a much lower price than the current HoloLens. Further, it would be light in weight, be more comfortable and come integrated with a new sensor package derived from the Project Kinect for Azure announced during the Build developer conference last month. Separately, Microsoft has already talked about its intentions of siding with the streaming devices in the future. Previous reports suggested that Microsoft was planning to launch Xbox TV devices at E3 2016, but the device bearing a resemblance to Chromecast never arrived. Microsoft reportedly shut down the device development – codenamed Project Hobart. The streaming sticks would have been priced at $99 and were meant to access Xbox games from a second TV in a house.